Every year La Paz Chattanooga organizes a week-long series of activities to celebrate and include the region's Latino community. 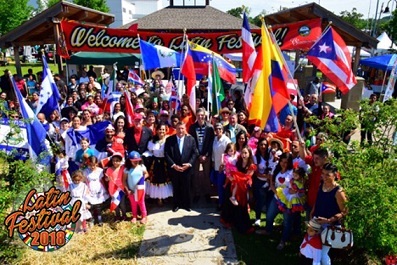 Semana Latina (or Latin Week) is an opportunity for Chattanoogans to celebrate Latin American culture by participating in activities offered by several organizations throughout the week leading up to Latin Festival on May 5. The week kicks off with a Latino Family Day at Lula Lake Land Trust on Friday, April 27. Normally closed on that day, Lula Lake is opening their gates to Latino families to come enjoy the views of the Tennessee Valley. The hope is that more Hispanic families will get involved in outdoor activities while learning more about the region's beautiful landscape. Those interested in participating can call the La Paz Chattanooga office. On Saturday, April 28, the Creative Discovery Museum will stay open and allow Latino families to explore the museum for free and participate in special activities to honor Día de el Niño (Day of the Child). This event is made possible through a collaboration with several organizations and businesses including La Paz Chattanooga, the J.A. Henry YMCA, Carneceria Loa, Gordos Bakery and Coca-Cola UNITED Bottling. The Lookouts join in on the fun on Sunday, April 29 as they celebrate Hispanic Heritage Day at AT&T Ballpark for their game versus the Tennessee Smokies. La Paz Chattanooga is the club's community partner for that day's game and will be featured in special announcements and activities throughout the game. To honor and celebrate the Latino players on their roster and the Latino community in Chattanooga, the team will be wearing special Latin American themed "Los Lookouts" jerseys. Following the game, the jerseys will be auctioned with proceeds benefiting La Paz's work in the Latino community. Dicscount tickets of $5 to the game are available for purchase at La Paz's office and partial proceeds from the sale of the tickets will be donated back to the organization. La Paz also has a "Picnic Experience" available along the third base picnic area. Participants can enjoy a spread of ballpark food, unlimited soda and engage with some of Chattanooga Latino professionals. More information is available on the La Paz website for this option. Families in the area can also pick up coupons to enjoy discounted admission all week to the Tennessee Aquarium. Throughout the week, the Aquarium staff will facilitate special "Extraordinary Experiences" programs that feature and highlight their Latin American animals, including the lemurs, butterflies and even an electric eel. On Monday, April 30, the Tennessee Aquarium will host La Paz's monthly held Compañía networking luncheon, where they will include an animal encounter for the luncheon's guests. Compañía is La Paz's membership initiative that helps to connect the community with the area's Latino professionals. The Chattanooga Zoo has special activities planned for their annual Latino Family Festival at the Zoo on Friday, May 4 and Saturday, May 5. Guests will enjoy native music, animal enrichment, meet and greets with some Latin American animals and an "I Spy Scavenger Hunt" with Dora the Explorer. 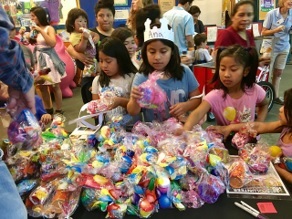 The final event of Semana Latina is Chattanooga State's annual Latin Festival at Highland Park Commons on Saturday, May 5. The 2018 Latin Festival and Latin American Soccer Cup are designed as a free community celebration, with the proceeds of the event benefiting Chattanooga State's Latino scholarship fund and their Bridges for Success programs. "Enjoy a passport tour of nations, grab some amazing Latino food from several food trucks and vendors, enjoy shopping for some unique items at the festival's cultural booths and get engaged with many nonprofits who work with the Latino community," organizers said. La Paz Chattanooga will host two special activities during this year's Latin Festival. They are partnering with the Downtown Chattanooga Public Library to offer a Passport Fair for Latino families who need assistance preparing the documents they need to apply for U.S. passports. In addition, La Paz staff and volunteers are working with several members of the Chattanooga Bar Association to host legal consultations on various subjects for Latino residents. Bilingual volunteers from La Paz will be on hand throughout the festival to assist with interpretation. "If you have not been, this is one community event you don't want to miss," organizers said.